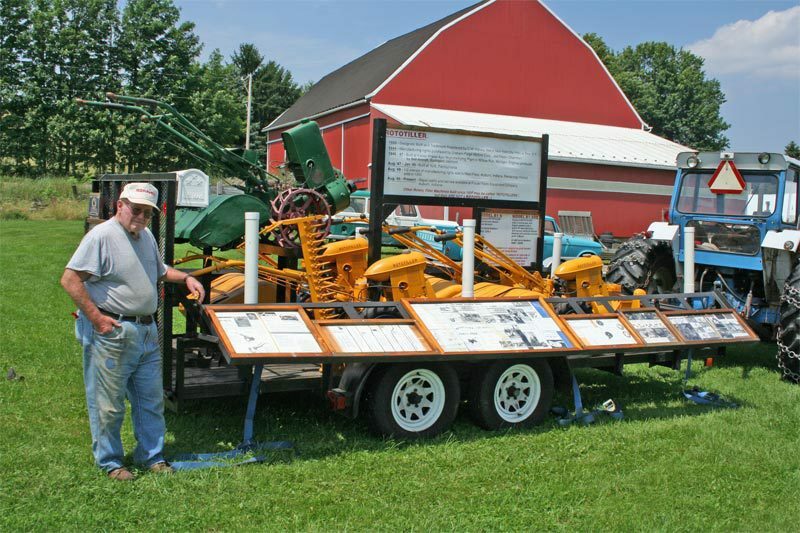 Bob Antram and his traveling ROTOTILLER display. 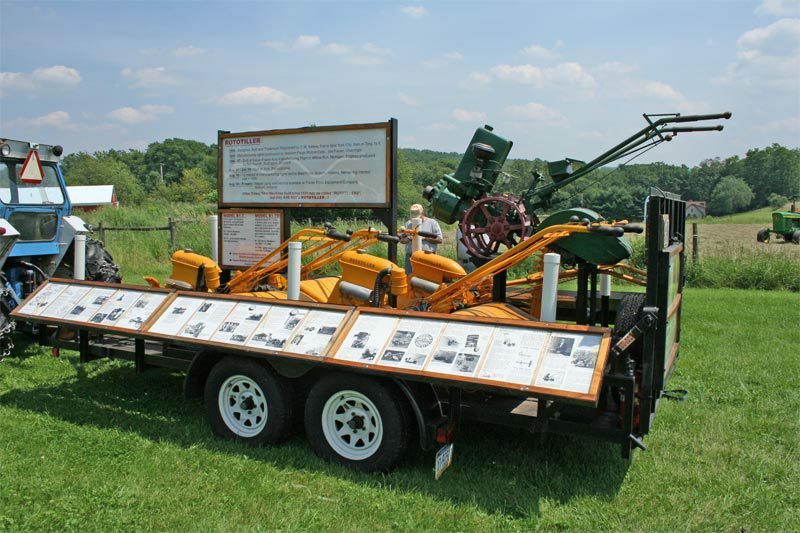 Featured on this page is a most excellent display of Graham-Paige/Frazer ROTOTILLER brand tillers. I first saw this display in October 1998 at the McConnellsburg show. This display was the spark that got Zuck's Rototillers started. Bob has taught me much about the history of Graham-Paige and Kaiser Frazer in the years that I have known him. As you can see, Bob has put much time into making this display very educational. The literature is laminated and covered with plexiglass and mounted in a manner that makes it easy to read. The side boards fold up for travel. 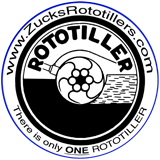 The 6X18 trailer was made by International Trailer Corp and has a gross weight capacity of 7000 pounds. 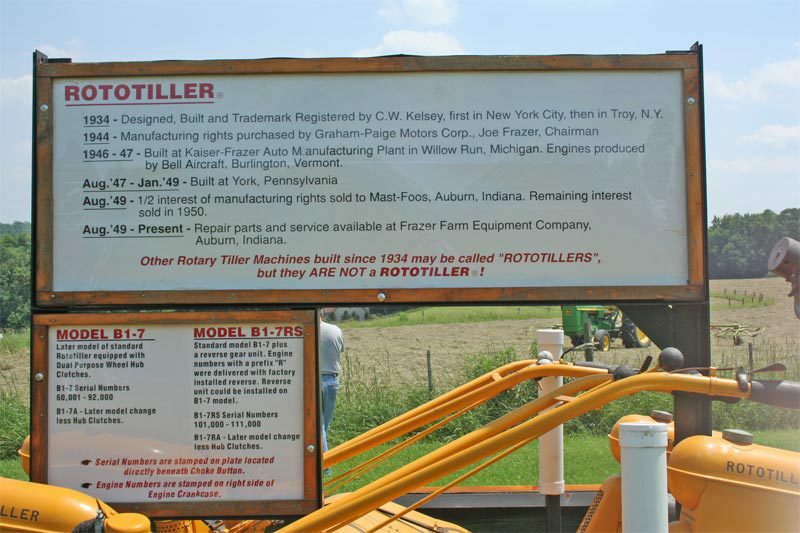 Health issues have kept Bob from taking this fine display on the road and he would like to find someone who would be interested in telling the Rototiller Story with this fine display. So, if you are interested in having this most excellent display, contact me via my email address listed on the homepage and I will connect you with him.